When it comes to fragrance, CLEAN is definitely one of my favourites for simple and, well, "clean" scents (check out my thoughts on CLEAN Cashmere from last fall). 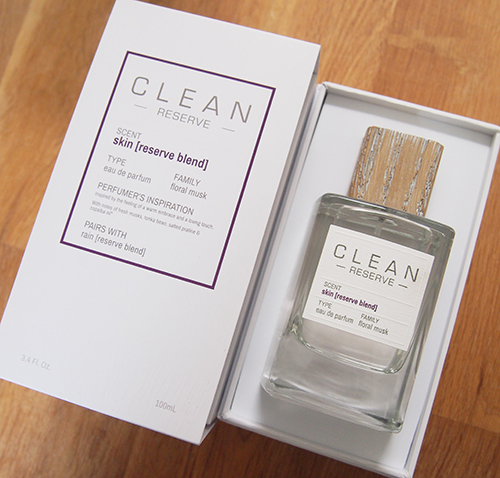 Now, taking its philosophy of simplicity and eco-consciousness one step further, all of us fans can indulge in the company's latest launch: a whole new line of luxury fragrances called CLEAN Reserve. The concept behind CLEAN Reserve is simple... think "farm to bottle" (kind of like "farm to table") made with raw and sustainable ingredients. There are 9 unisex scents to choose from: Blonde Rose, Sueded Oud, Terra Woods, Smoked Vetiver, Amber Saffron and Velvet Flora, as well as Reserve Blends of CLEAN's most popular traditional scents Skin, Rain and Warm Cotton. I received bottles of Terra Woods and Skin [Reserve Blend] to play with and I love both. Terra Woods is a floral woody fragrance with notes of Fresh Accord, Fresh Geranium, Jasmine Sambac Petals, Coconut, Skin Musks, Textured Woods, Tonka Bean, and Madagascar Vanilla. Skin [Reserve Blend] is much more elevated version of original Skin with notes of Fresh Musks, Warm Skin Accord, Tonka Bean, and Salted Praline. Each bottle is made with 100% recyclable glass and comes housed in a beautiful white cushioned box that's perfect for storing. The wooden cap is made of wood sourced from certified sustainably managed forests in Spain. 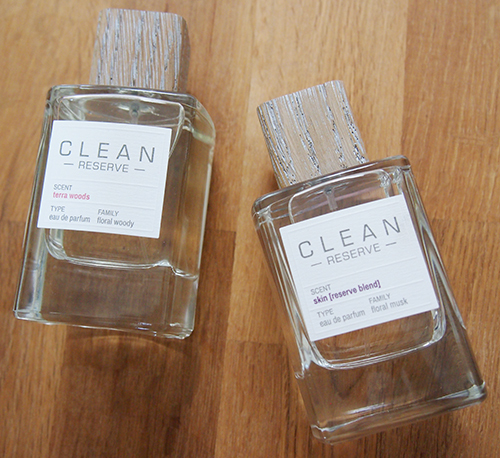 As with all of CLEAN's fragrances, you can blend the Reserve scents together to create something more unique, and suggestions for pairings are offered on the sleeve packaging. The retail price for CLEAN Reserve is $125 CAD which is on the expensive side but not so much when you consider the fact that you're getting 100 mL. These bottles are hefty! The scents also come in super cute travel sizes (also with the wooden cap) for $30 CAD (example), as well as a Discovery Set of mini spray bottles so you can try everything before upgrading to a full-size. 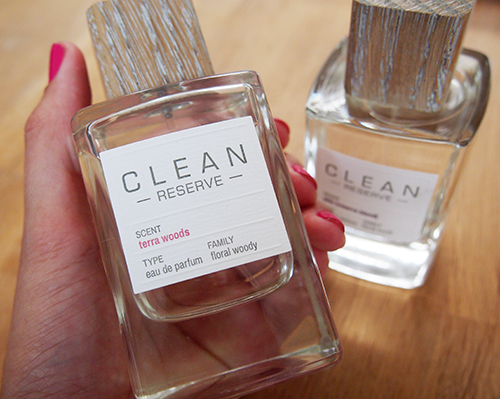 CLEAN Reserve can be found at Sephora. Note: Terra Woods is an online Sephora.ca exclusive. how pretty is the bottle! definitely on the expensive side but looks like its worth it! Love the packaging! These bottles are so pretty and classic.